Muslim Aid has officially launched its 2016 Ramadan Campaign. Dignitaries from across all sectors came together on 26th May to attend the launch which took place in the House of Commons. The event outlined Muslim Aid's plans for this Ramadan and gave feedback from last year's campaign. The evening began with a recitation by Imam Ahmed Dahdouh, Imam of Al Manaar Muslim Cultural and Heritage Centre in West London. Dr Suhaib Hasan introduced the theme of this year’s campaign; ‘You Give, We Serve’. He went on to explain the work that Muslim Aid carries out during Ramadan, including its ‘Feed the Fasting’ Programme, going on to state that “the issue of poverty in the UK should also not go amiss, and like last year, we are extending our Feed the Fasting Programme this Ramadan to low-income families and the homeless that are right in our neighbourhood”. Speaking at the launch, Rt Hon Stephen Timms MP, made note of the effectiveness of Muslim Aid’s work across the world, commenting that, “Muslim Aid has done a fantastic job of reaching people who need it most across the world”. He also highlighted the importance of interfaith work which Muslim Aid engages in to tackle poverty through collaboration. 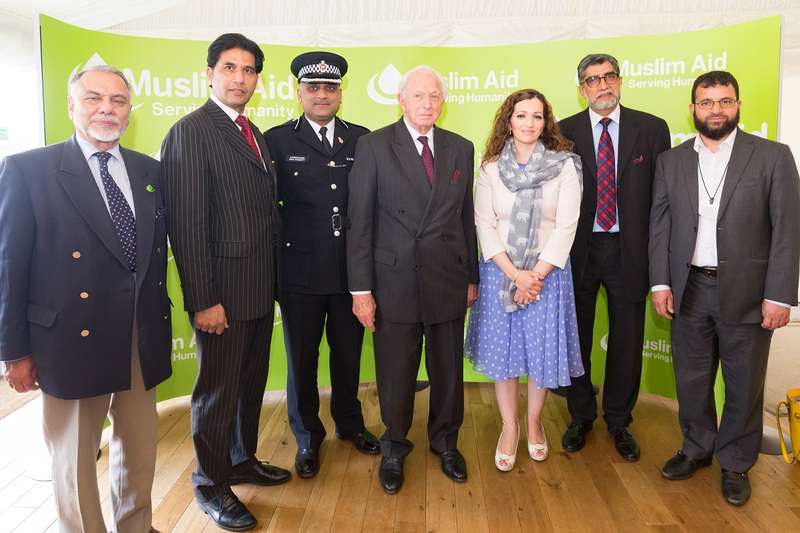 Rt Hon Tasmina Ahmed-Sheikh OBE, spoke of the need for Muslims to engage in charity work such as that carried out by Muslim Aid, in order to tackle extremism in all its forms and to counter the narrative that acts of extremism are not in the name of Islam. 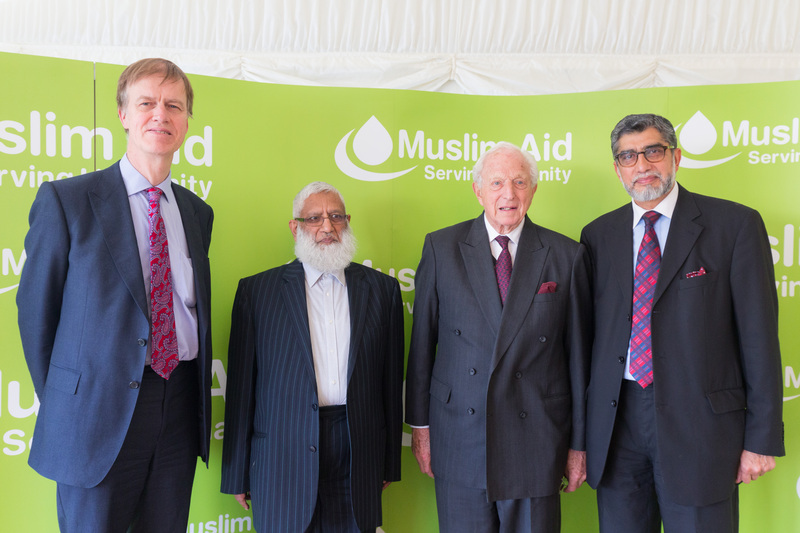 Rt Hon Lord Woolf, former Lord Chief Justice spoke at the event, commenting that it is “wise” of Muslim Aid to include prisoners’ rehabilitation as part of its work, and that Muslim Aid is, “successful at encouraging the community to do good around the world”. He concluded his speech by wishing the Muslim community a “rewarding and satisfying Ramadan”. Muslim Aid’s Acting CEO, Mr Shuaib Yusaf, highlighted the difficulties that NGOs are facing, particularly Muslim NGOs, stating that it “matters not who saves a life but that the life is saved”, and asked for government and regulators to work with the sector to find solutions to issues such as working in sanctioned countries and the transfer to funds. The Khayaal Theatre Company also performed a storytelling of a Sudanese folktale about a man renowned for his bravery and another for his courage. Actress and storyteller Eleanor Martin concluded by wishing that “Muslim Aid be blessed to continue their work with the same qualities of bravery and courage”. Sir Iqbal Sacranie OBE closed the event by thanking attendees, particularly those who came from overseas, as well as the speakers and co-sponsors of the event. Each year Muslim Aid runs its Ramadan Campaign which is the primary campaign of the year. Last year, Muslim Aid raised over £5.6million for the campaign which went toward international emergencies, feeding programmes for some of the world's poorest communities, development programmes and domestic aid to support those in need within the UK.